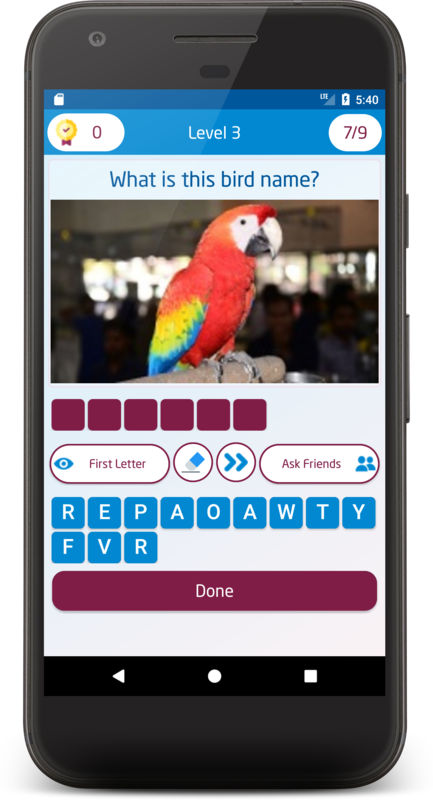 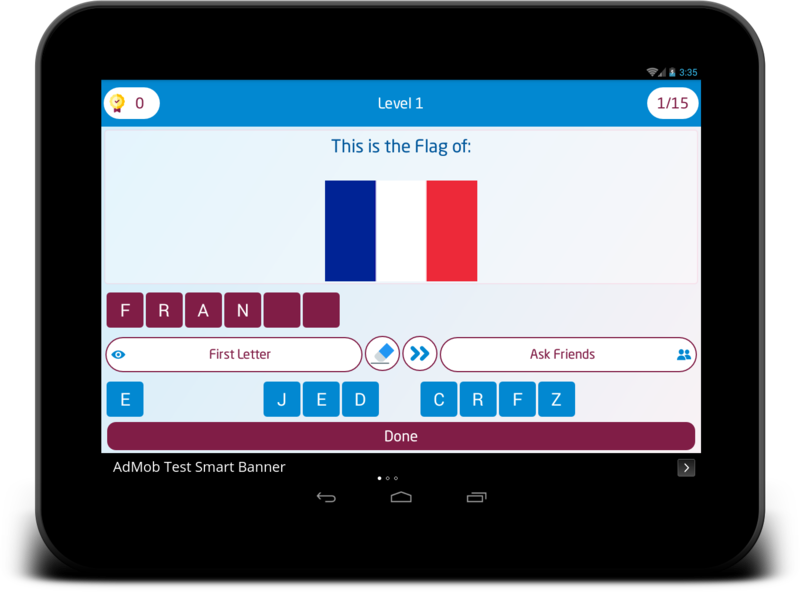 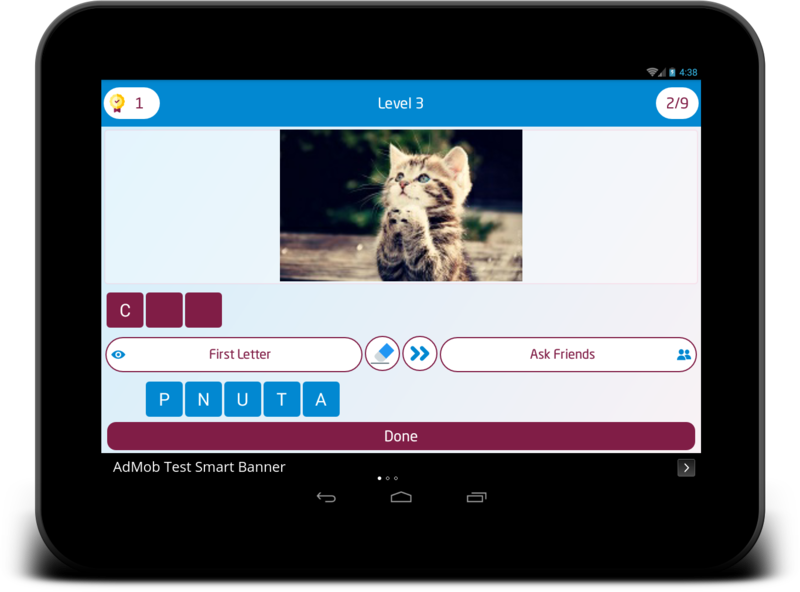 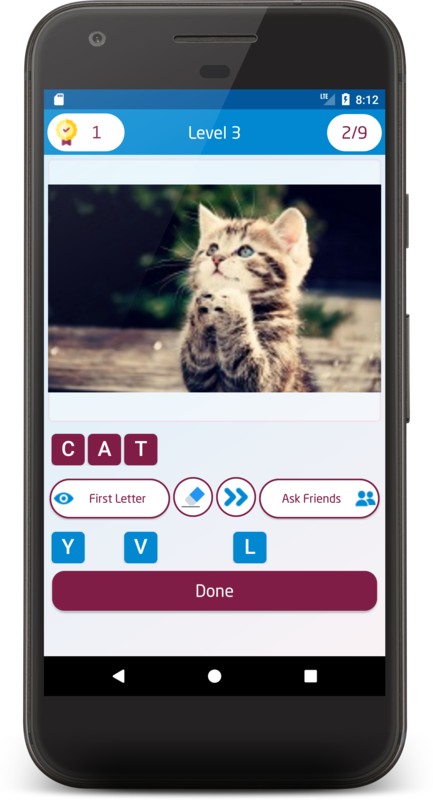 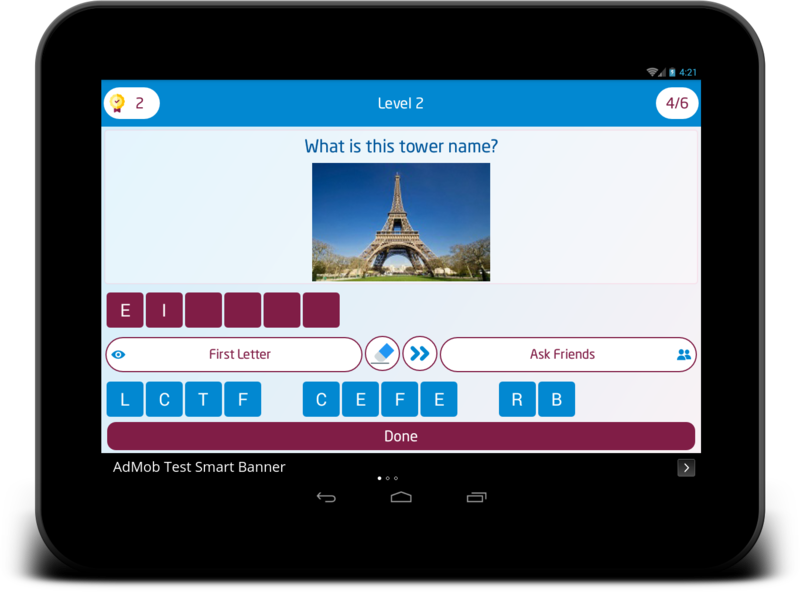 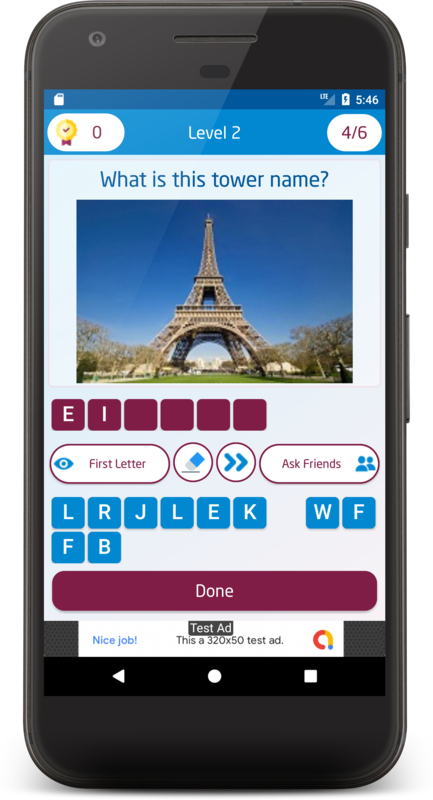 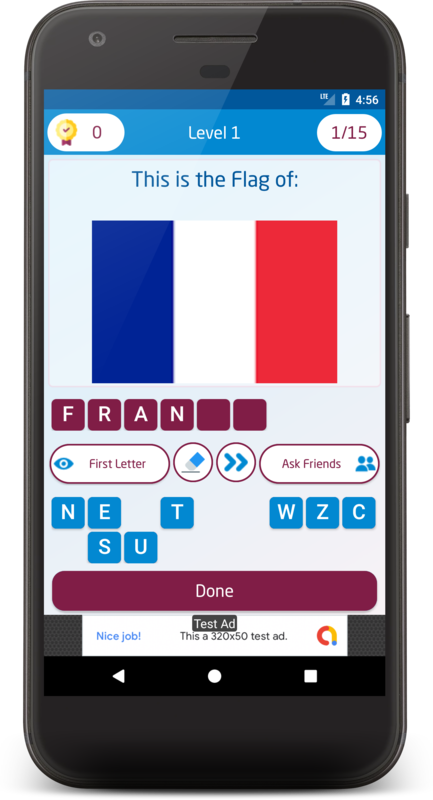 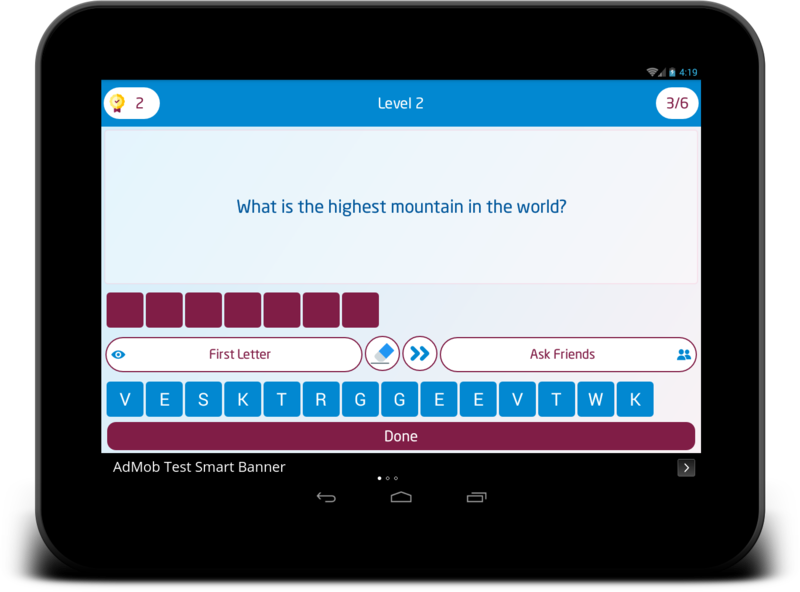 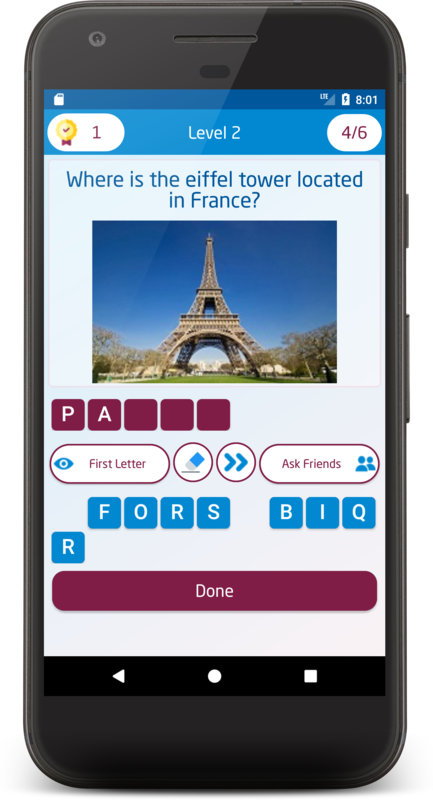 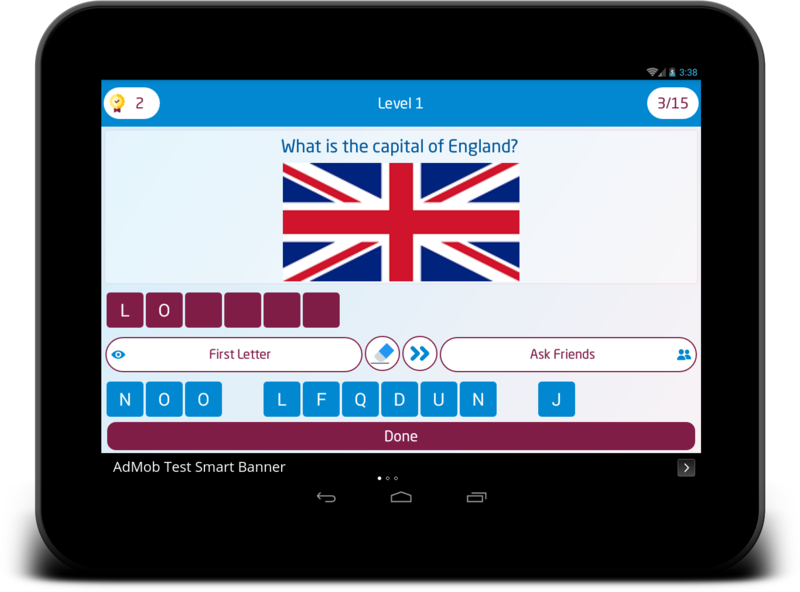 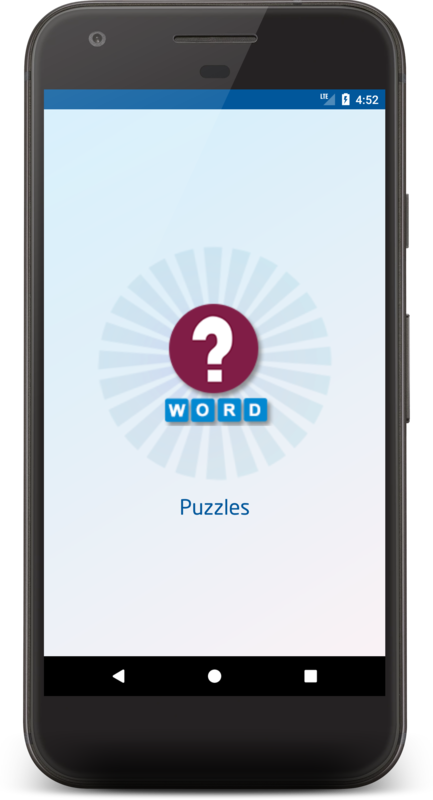 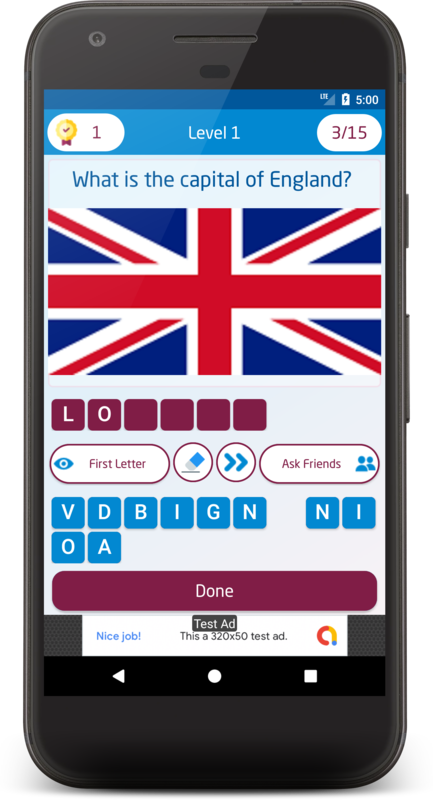 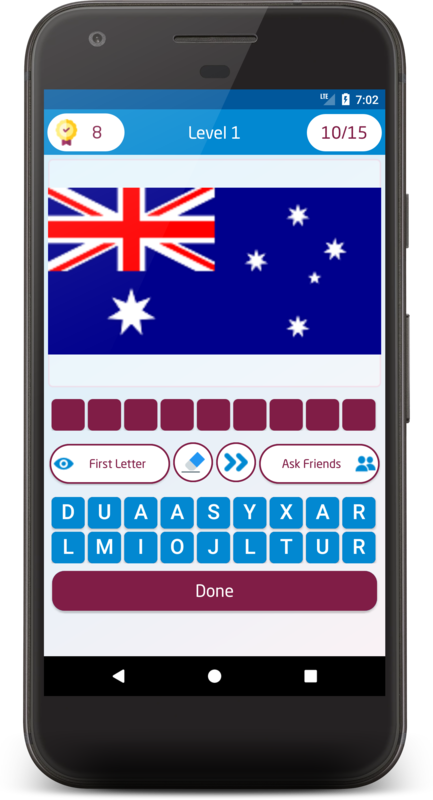 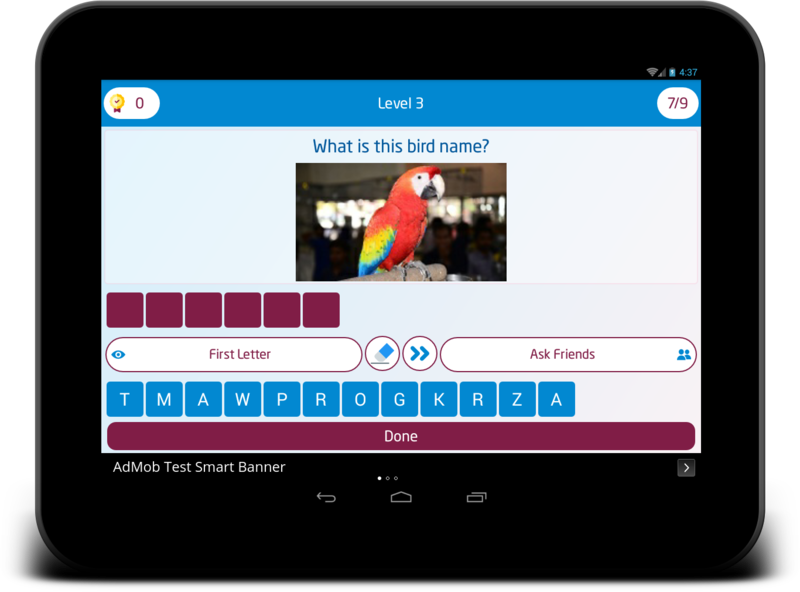 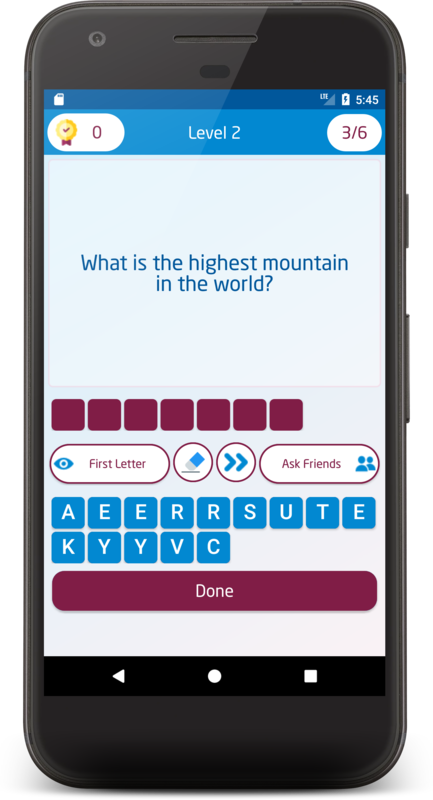 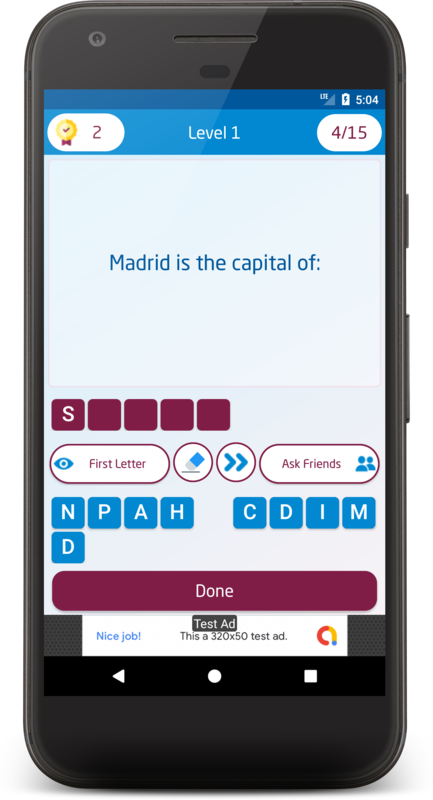 Online Word Quiz – Image Guess Puzzle is an Android app lets you adding unlimited number of levels and unlimited number of puzzles inside each level using Online Realtime Firebase database so you can update your puzzles online directly, the puzzle can be inserted as text only, image only or text and Image. 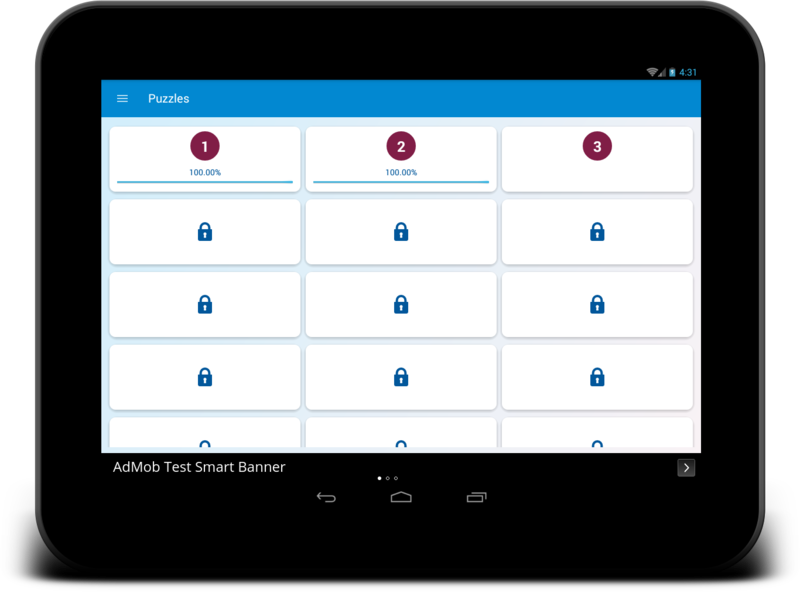 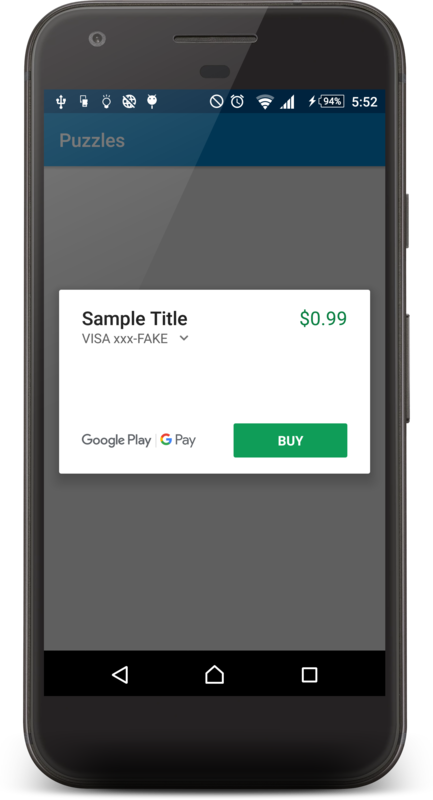 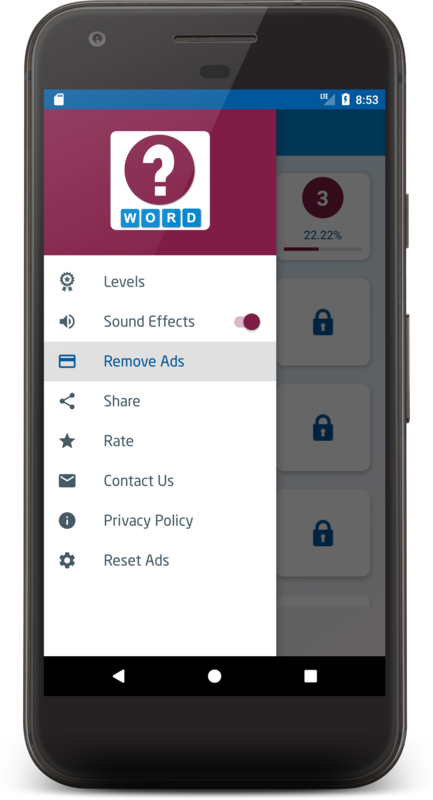 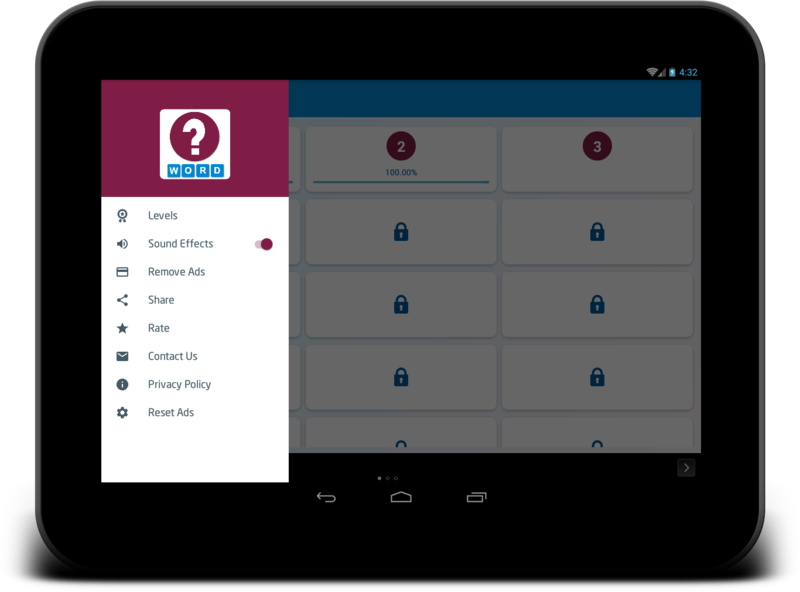 The app is integrated with AdMob Ads and In-App purchase to remove ads. 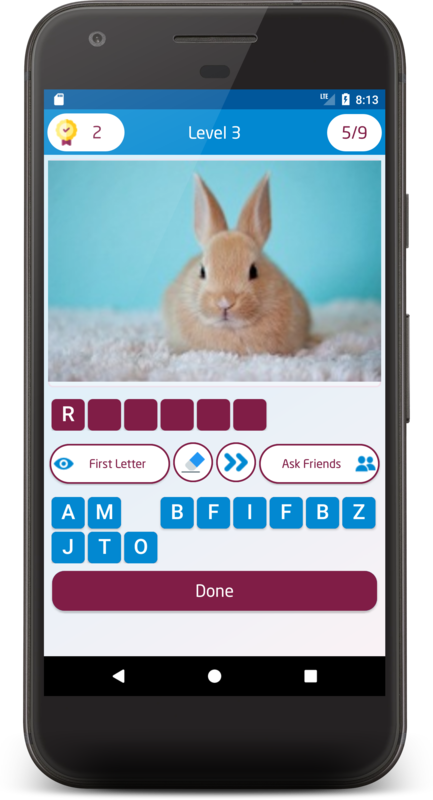 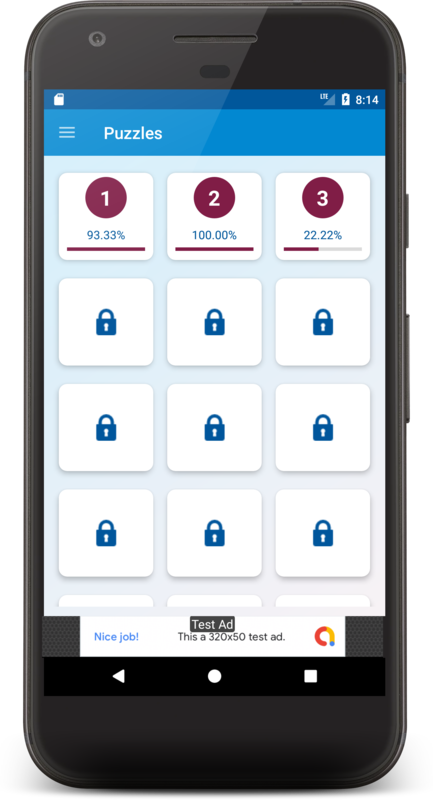 Online Realtime Firebase Database with ability to add unlimited levels and unlimited questions for each level. 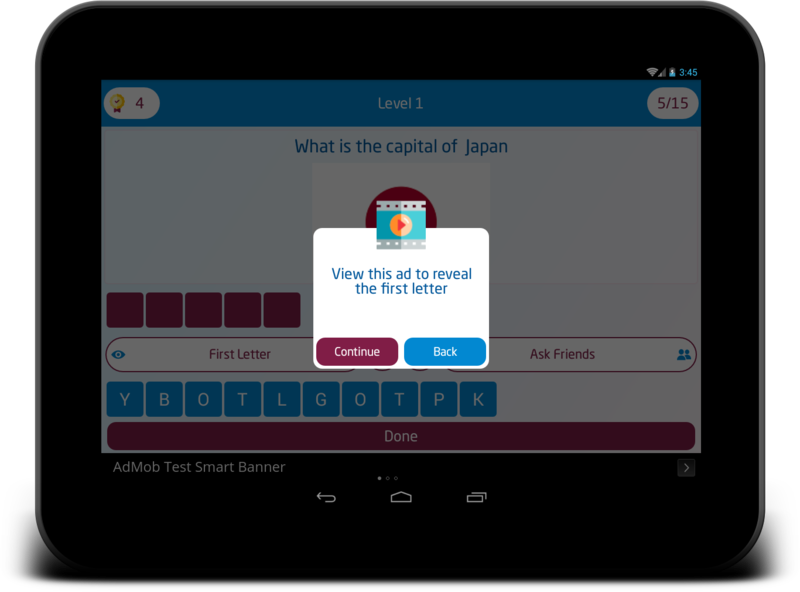 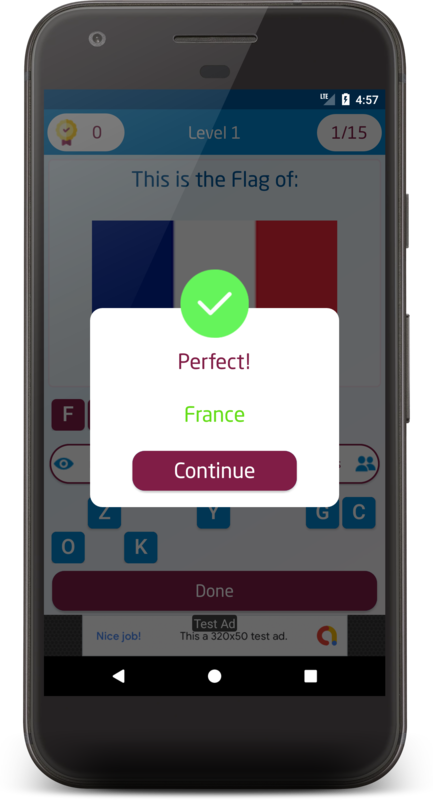 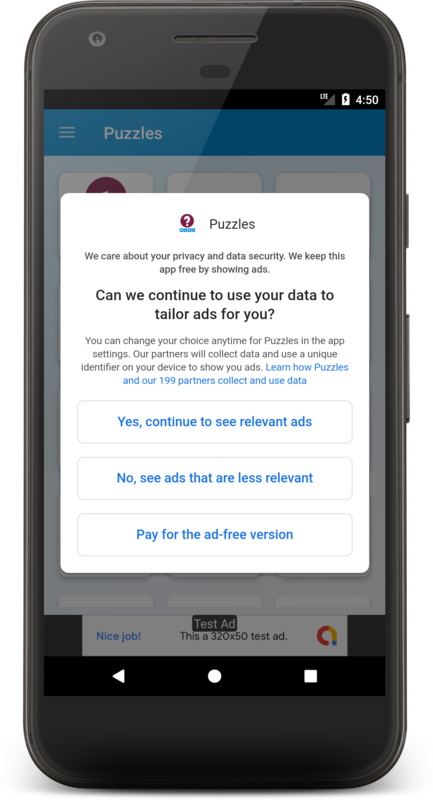 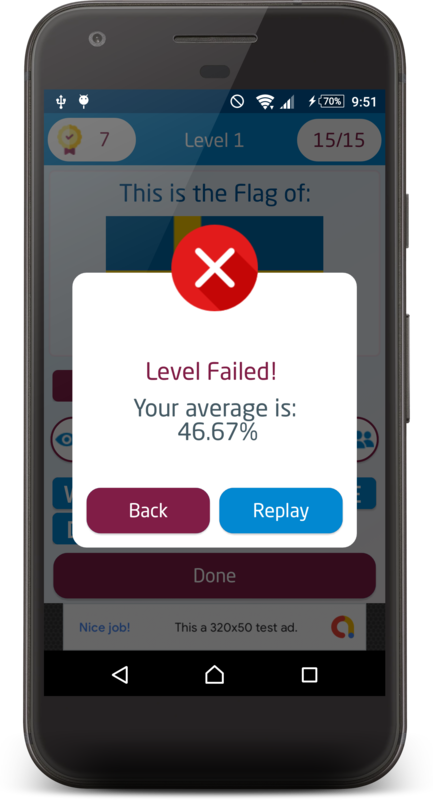 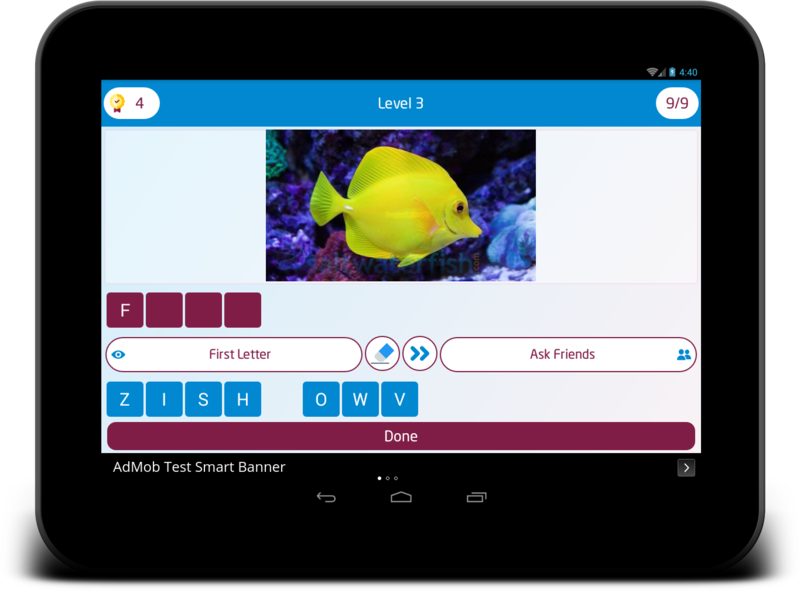 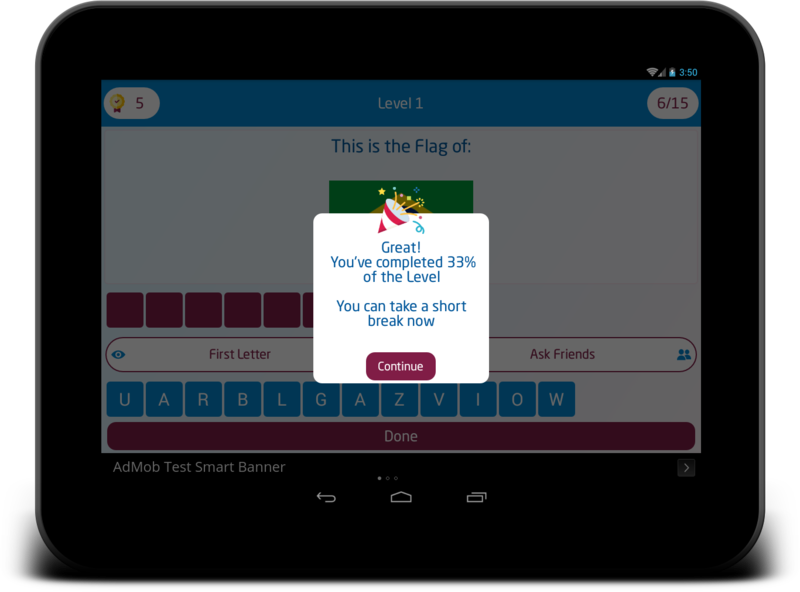 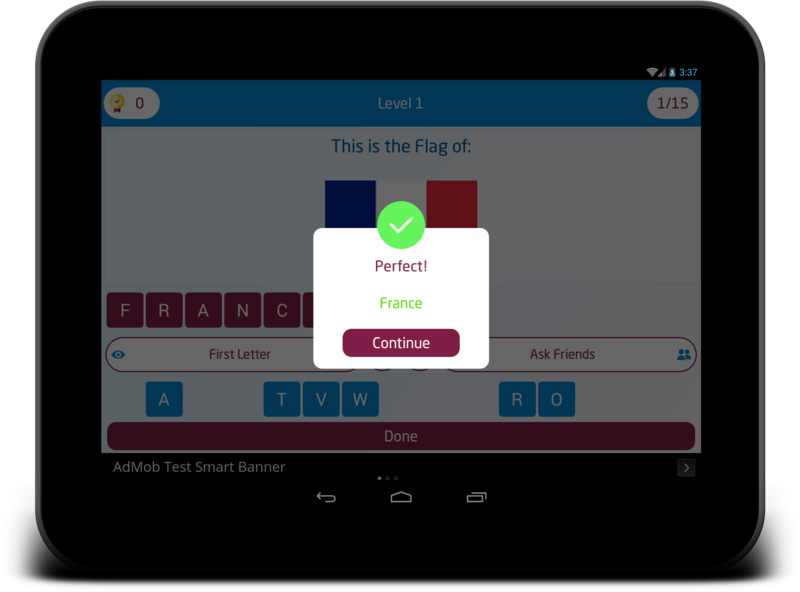 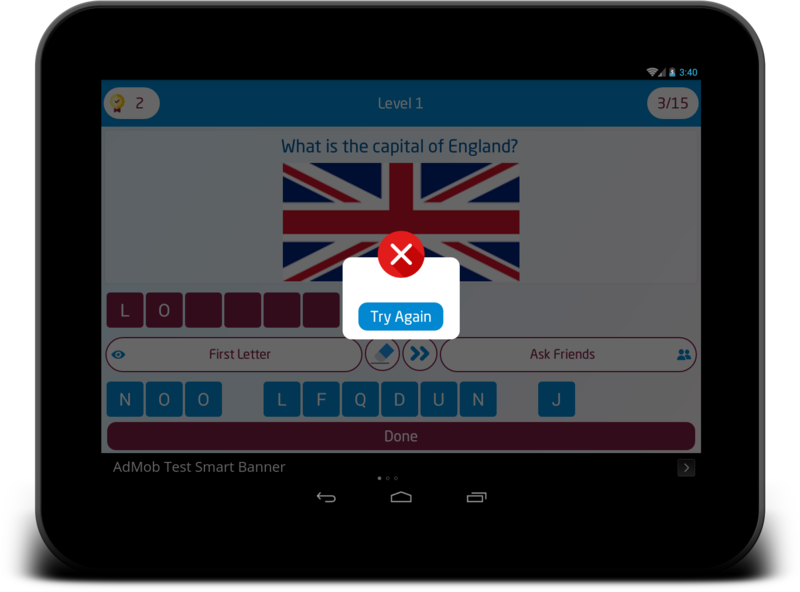 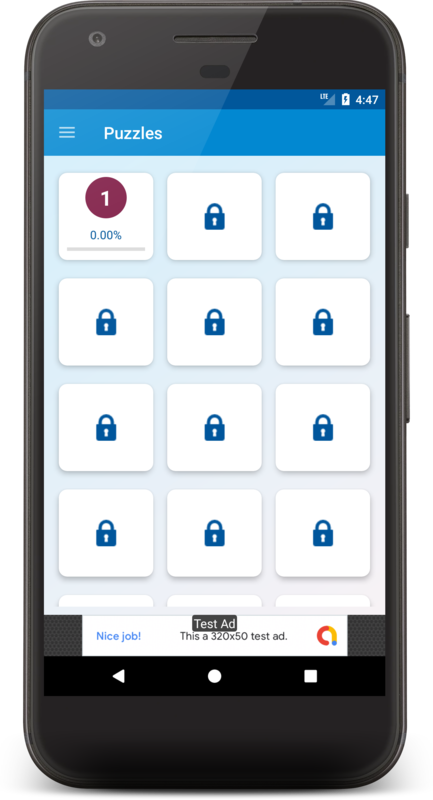 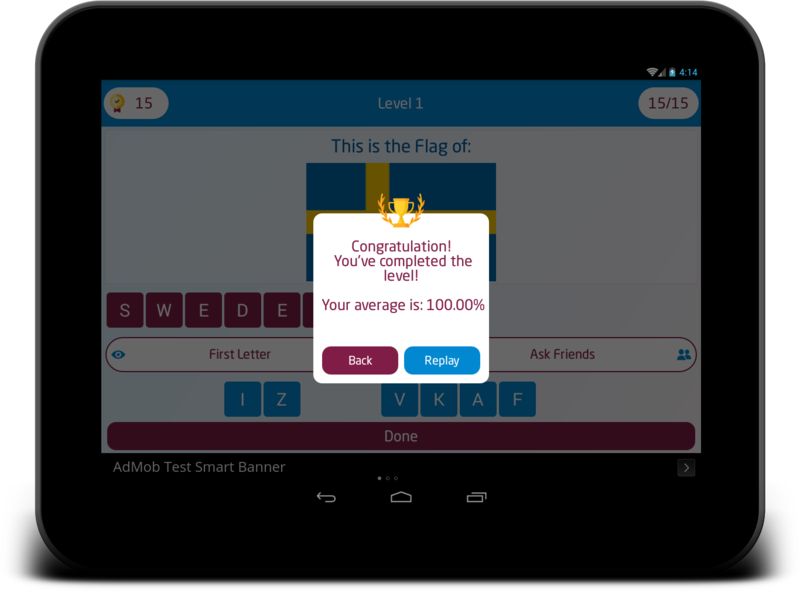 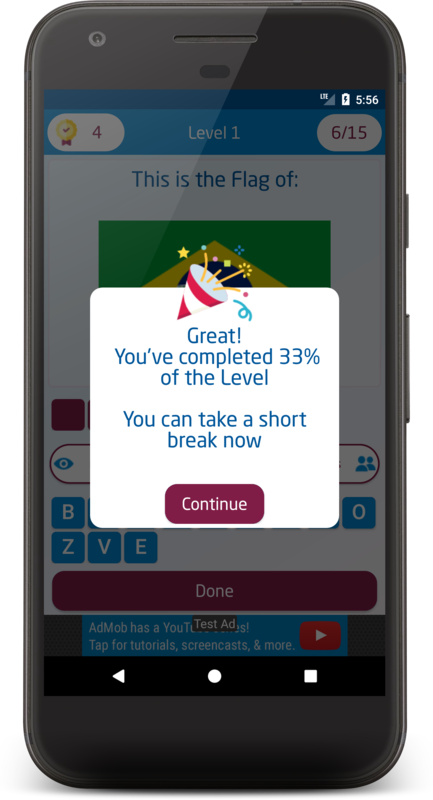 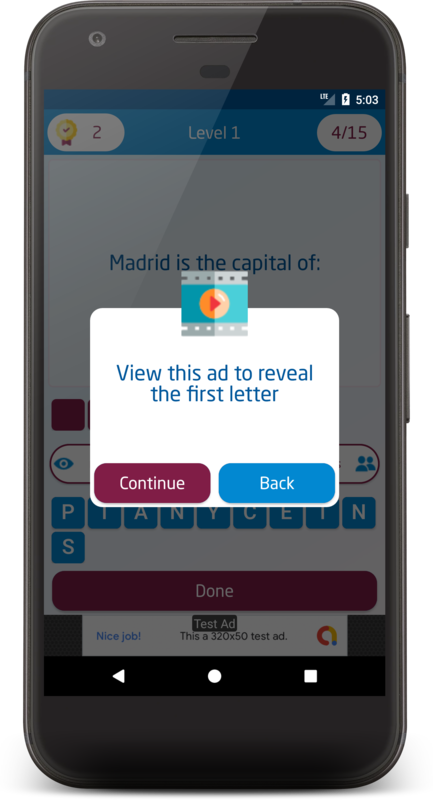 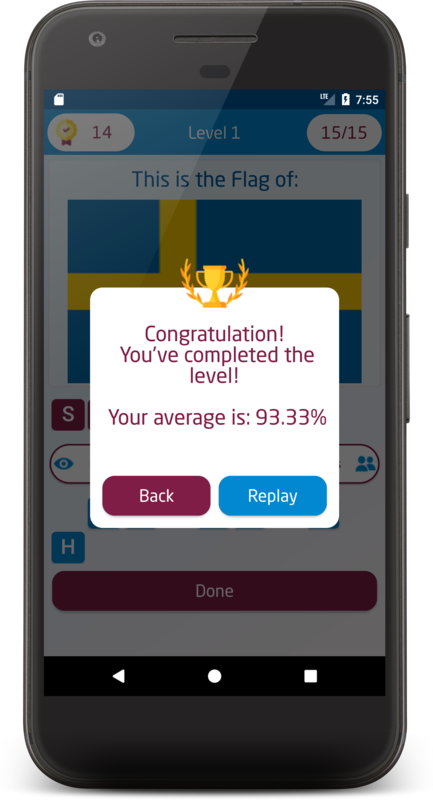 Multi popup dialog: (Correct, Wrong, Rest time to show rewarded ad, Reveal the first letter, finishing the level(passed / failed)). 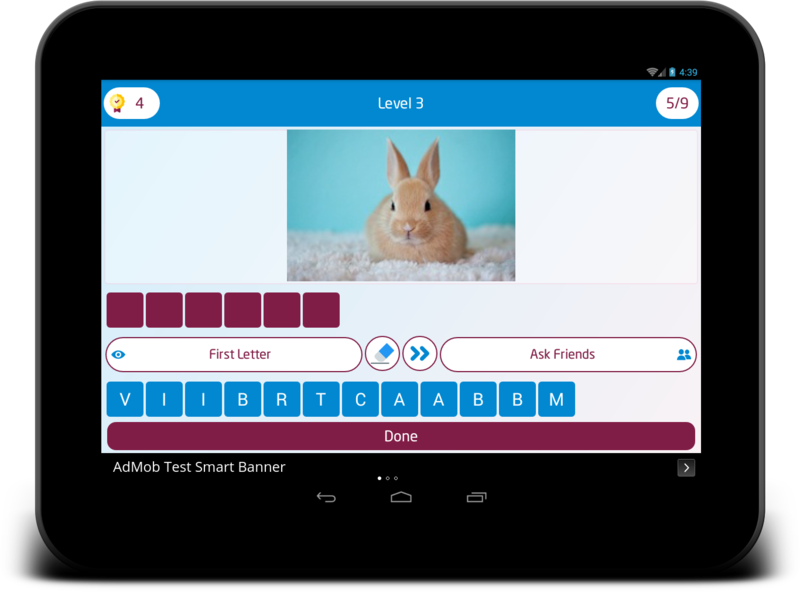 Documentation included with step by step detailed guide . 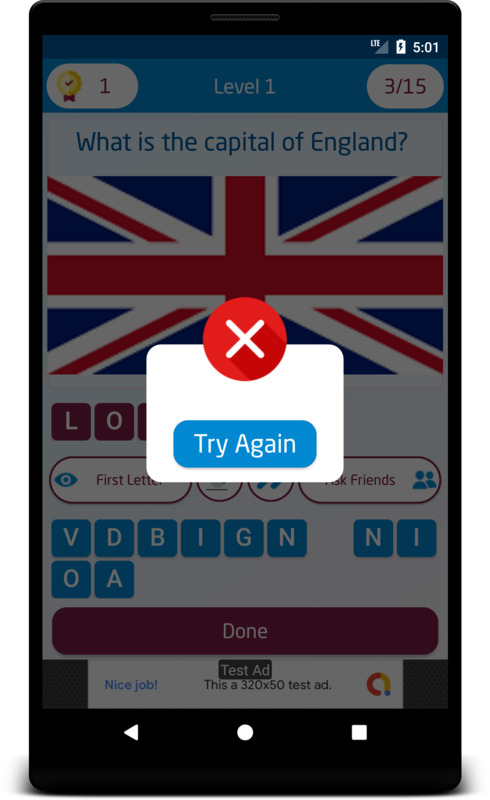 Resolve (reveal first letter) problem.